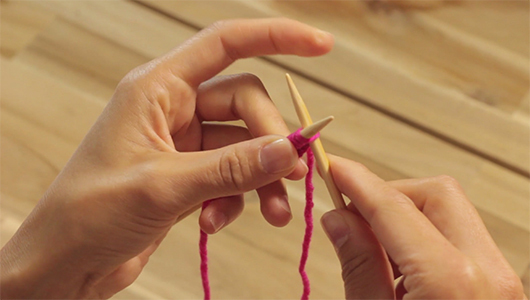 Casting on with your thumb is a fast way of working a long-tail cast-on, perfect for yarn with a firm twist. 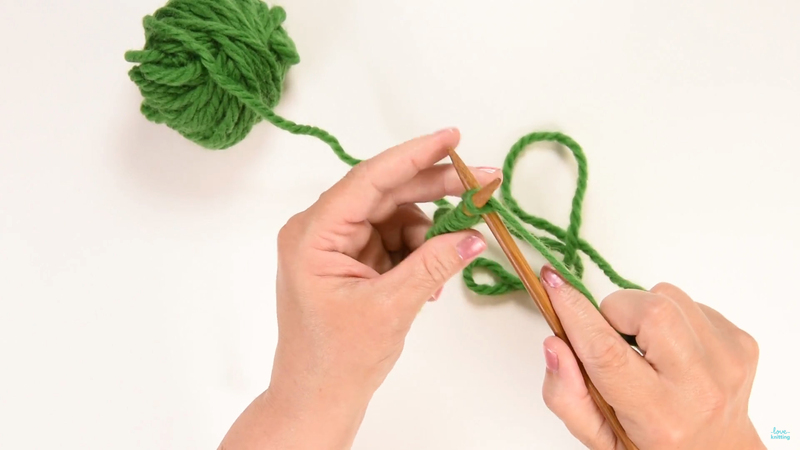 This method follows the knitted cast-on method, but uses a thumb instead of one needle. 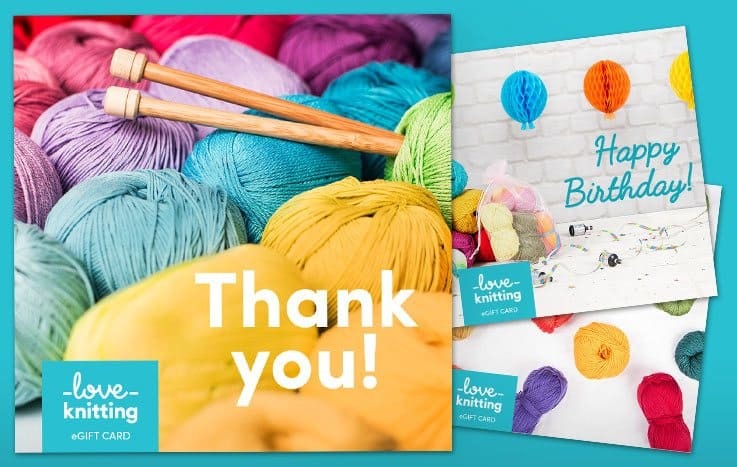 It's faster than working with two needles, hence its popularity! 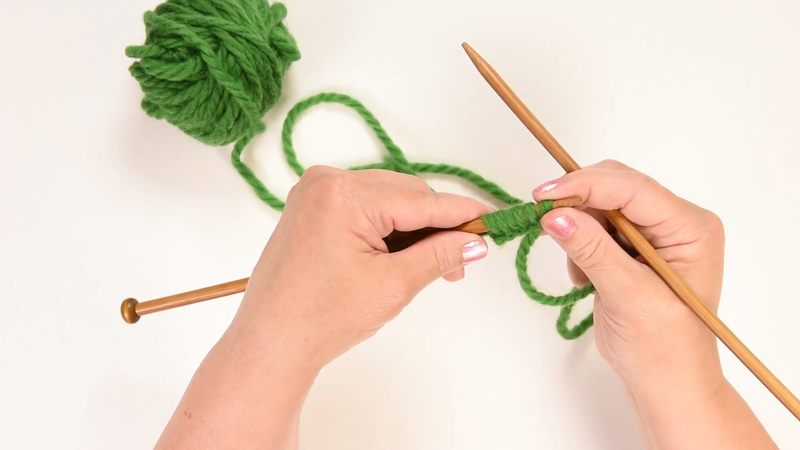 Pull three times the width of the project you are knitting. 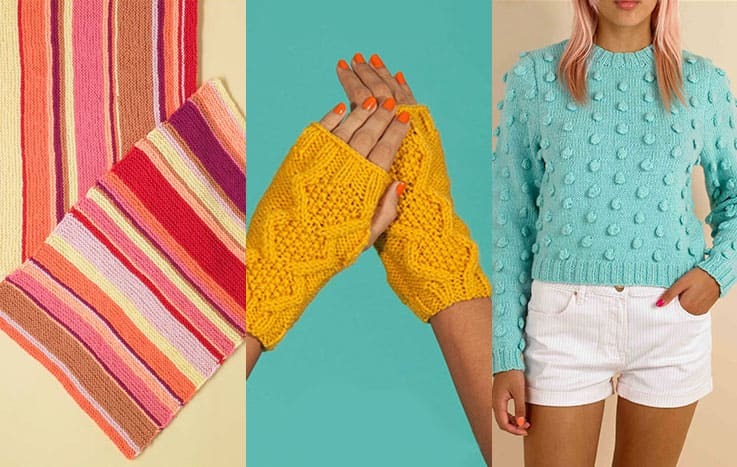 Wind the yarn around your thumb, and insert a needle knitwise. 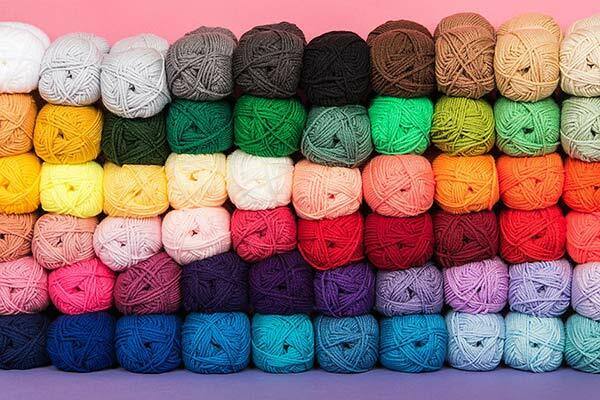 Bring the yarn around the needle. 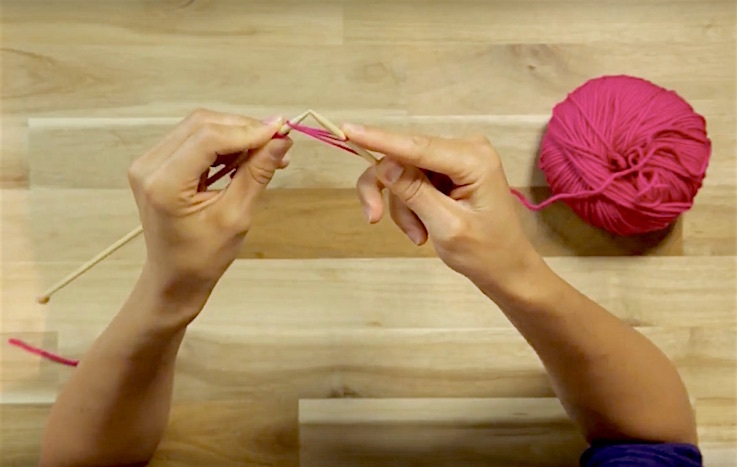 Bring the needle through the stitch and on to the needle. Pull to tighten.